An ambitious autumn demonstration event provided an ideal opportunity for customers of four main Case IH dealers to try out almost the complete range of tractors from 115hp upwards in a variety of applications. David Williams was there. Case IH organised the two-day ‘Efficient Farming’ event at Balsham, near Cambridge with half a day each allocated to customers of dealers Ernest Doe Power, Pecks AgriTrac, Louth Tractors and Collings Bros.
Latest tractors from the 115hp Maxxum CVX to the 600hp Quadtrac 540 CVX were available to test drive and there were presentations on optimising traction and reducing ground damage through appropriate use of ballast and correct tyre pressures. Transport performance could be assessed towing a selection of bulk trailers, and cultivators and drills from Kuhn and Amazone provided a good test of the tractors’ ability working the dry cereal stubble and allowed the precision farming and control systems to be demonstrated. An innovative attraction was an open cab tractor simulator used to demonstrate the latest automated headland management system – Headland Management Control 2 (HMC2). A Puma operator station was linked by cables to a standard Puma 165 CVX tractor beside it. On a stand with its wheels clear of the ground the Puma had a mounted Kuhn flail mower at the rear. 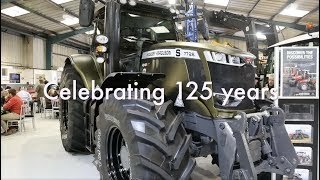 Every cab control from the tractor was duplicated allowing operation of all the systems including the engine, transmission, hydraulics and PTO from the simulator seat, and with set-up and monitoring through the Pro 700 screen. Because the simulator was open-sided and at ground level, up to 20 other interested farmers could watch while one was instructed by the Case IH product specialist. “Our main objective was to stage a useful event which our dealers could use to help customers obtain the very best performance from their tractors,” explained Case IH area sales manager for the south-east David Redman. “We had all the latest technology available to try in the field from infinitely variable CVT transmission to automatic steering through GPS and systems for variable rate drilling and applications. A highlight for many was the Puma simulator which allowed many more to find out about HMC2 than would have been possible taking turns one at a time in the cab in the field. Ernest Doe Power customer Kirton Farming Ltd senior tractor driver John Tooley attended the event with two co-workers. The mainly arable farm near Ipswich in Suffolk also has a small number of livestock grazed on conservation grassland. Case IH products operated include an Axial Flow combine and three tractors; a Magnum 280 and two Puma 215s. John said all three attendees found the demonstration day very helpful. “The Case IH team providing instruction was superb, from the UK and Austria,” he said. “They made a huge amount of effort to make the day worthwhile for everyone and we learned a lot. The workshop on ballasting was a good reminder of what we should be doing and as soon as I got home, and before I resumed drilling, I took the front weights off my drill tractor. It’s so easy to just leave them on all the time but having removed them the tractor performed just as well, but is creating less compaction and improving soil structure and health. Pecks AgriTrac staff and customers were at the event during Farmers Guide’s visit and Case IH and Amazone sales specialist Wayne Cottam said his customers felt the half-day visit had been useful. “Feedback was that it has been very informative,” he said. 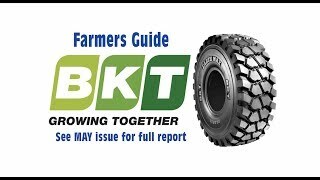 “Users especially liked the talk on ballasting and that something as simple as dropping tyre pressures for field work can provide such improved performance and reduce ground damage. “We had a large number of customers attend including Case IH users, but also others currently using different brands. The opportunity to try the Rowtrac with its half-track rubber tracks proved especially popular with several using twin-track crawlers but who are looking at changing. Watching the Rowtrac pulling a heavy draft implement is the best way to understand the benefit of the pivoting track assembly which always maintains an optimum working angle to the ground,” he added. Attending from main dealer Pecks AgriTrac’s sales team were (l-r) Wayne Cottam, Ed Perry, Matthew Buddle, Mel Neale and Matthew Pratt.